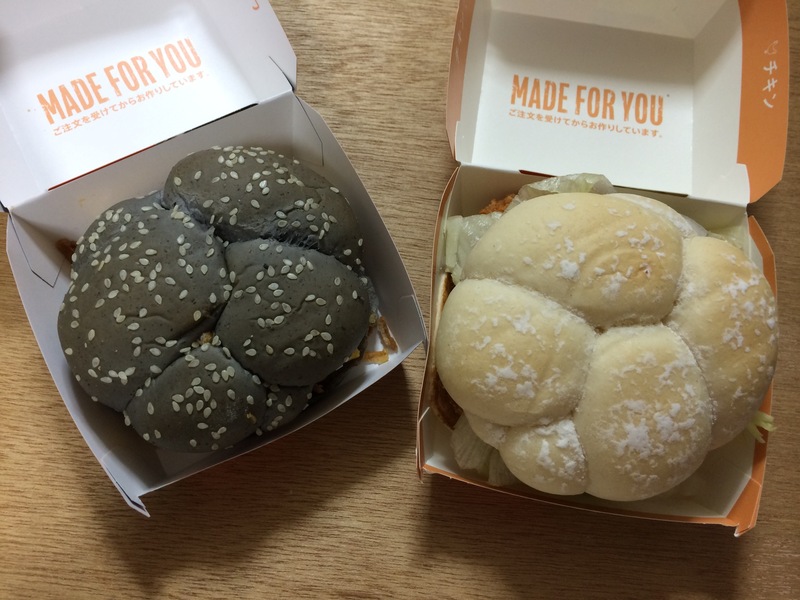 McDonald’s Halloween Witchy Black Burger & Ghostly Camembert Chicken! A few weeks ago, the news of Burger King’s Black Burger hit the internet like a hammer. Reported far and wide, the news was the perfect touch of wacky Japan, with just blend of the light-heartedness and funny oddness. Visually striking, it caught the attention of friends far and wide. As I mentioned before, my YouTube video of a taste test is far and away my most popular clip to date! McDonald’s has just released their own Black Burger with just about zero buzz in my circles. I’m surprised by how little attention it’s garnered, at least among my friends. 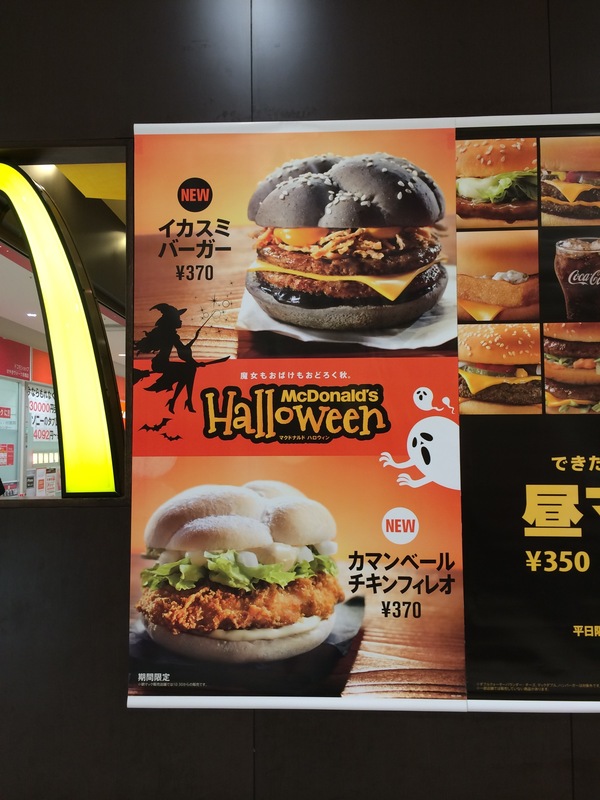 McDonald’s offering is actually a double barreled Halloween special, with a witchy black burger and a ghostly white chicken sandwich. The ghostly Camembert cheese is just as delicious as the squid ink burger. Whitest of white buns with a lovely cheese sauce, the whole thing is surprisingly high quality for ¥370. In stead of fries, I opted for the mushroom risotto balls that are still on offer since they were introduced during McDonald’s World Cup specials. I’m glad to see them continuing such creative endeavors–who would have expected to dine on Squid Ink and Camembert with a side of mushroom risotto at the local Mickey D? This entry was posted in Food! and tagged black burger, burger king, camembert, Halloween, ika sumi, Japan, mac, mcd, McDonald's, only in Japan, squid ink. Bookmark the permalink. 1 Response to McDonald’s Halloween Witchy Black Burger & Ghostly Camembert Chicken! 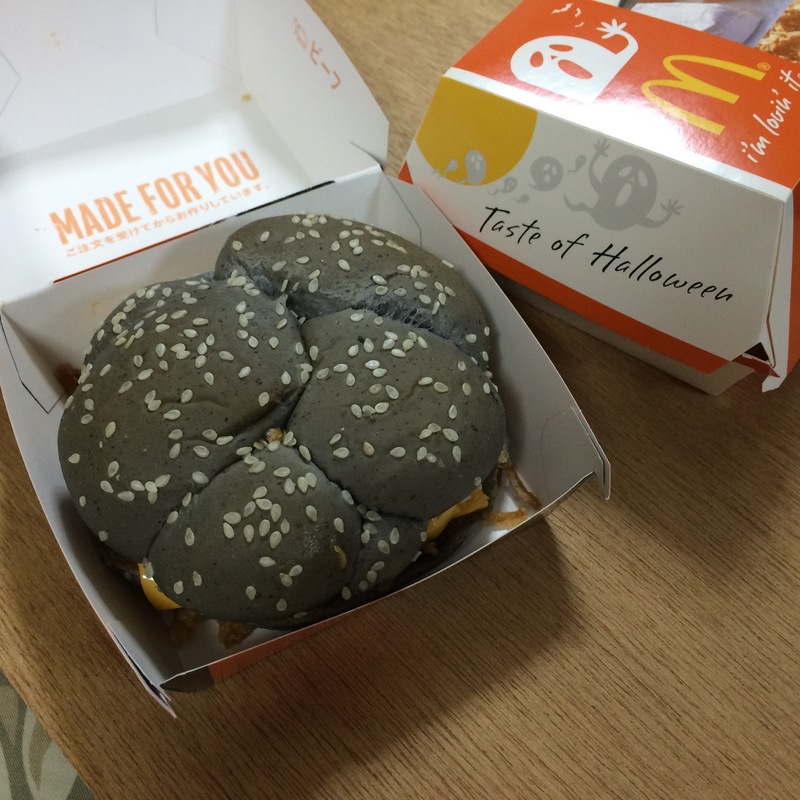 Pingback: Reblog: McDonald’s Halloween Witchy Black Burger & Ghostly Camembert Chicken! | I'll Make It Myself!